It’s Ortho Technology’s goal to be “Your First Choice” in orthodontic supplies. Since 1991 Ortho Technology has offered innovative and unique products that orthodontic professionals worldwide have come to trust. Ortho Technology offers a complete line of orthodontic supplies that include: brackets, bands, buccal tubes, archwires, adhesives, lab supplies, and patient accessories. 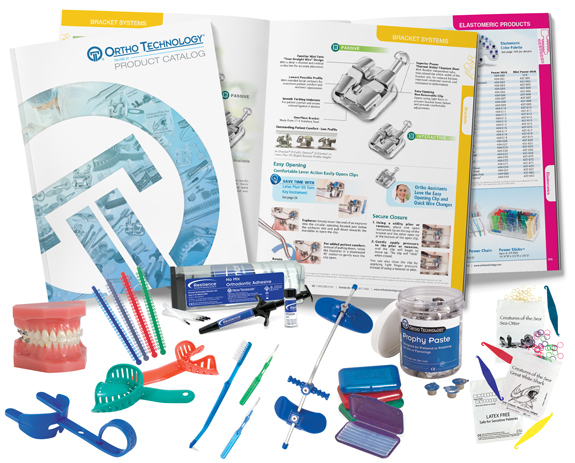 One-stop shopping couldn’t be any easier with Ortho Technology’s well organized full color catalog, featuring thousands of products you use every day. To receive your free catalog call 1-800-999-3161 or 813-501-1650 or click here to view our online catalog. Ortho Technology is committed as a company to provide your practice with the very best products possible, while delivering the utmost in customer service. Ortho Technology has successfully completed an independent audit in accordance with the internationally recognized quality system, ISO 13485. When you choose Ortho Technology you’re choosing a company that has made a tremendous commitment to making products that are of the highest quality.